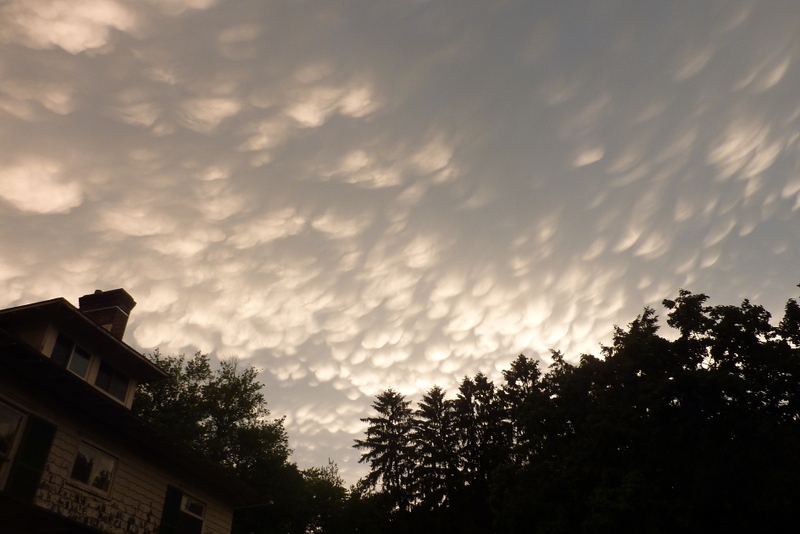 Welcome to Bonnie Dalzell's Photos page at www.batw.net. To view larger version of each picture - place mouse over picture and press right mouse button. July 28, 2015 Bonnie returns from Vegan Safari with mystery plant. Leaf of the mystery plant. 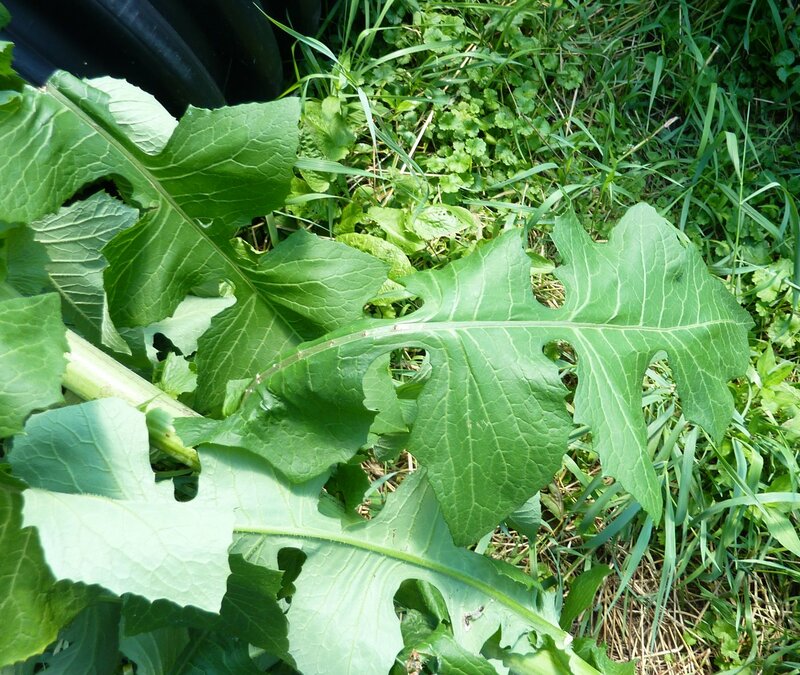 It is official, Maryland Department of Agriculture Expert ID'ed the Mystery Weed as a Giant Wild Lettuce! The first one was found next to the house but Bonnie bravely goes on Safari to search for more of them. She finds more out in the far reaches of the main dog pen! 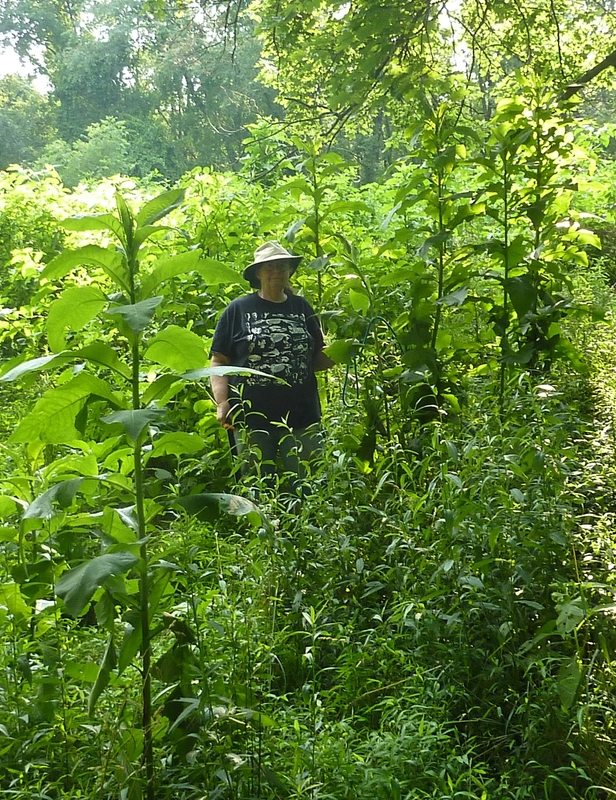 Bonnie on Vegan Safari in Giant Lettuce forest. 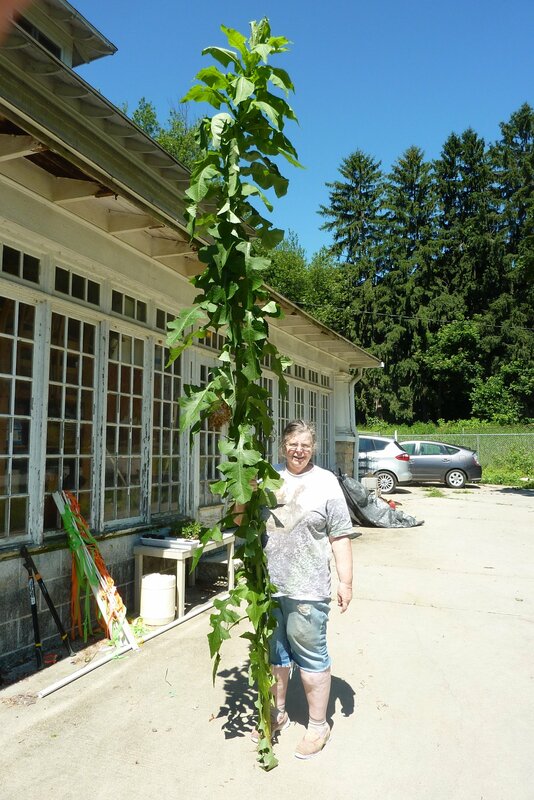 .Giant Lettuce Lactuca canadensis July 1, 2015 in Hydes Maryland This specimen is estimated to be 104 inches (264cm)(8.6ft) tall. I used machete as scale (16 inches). 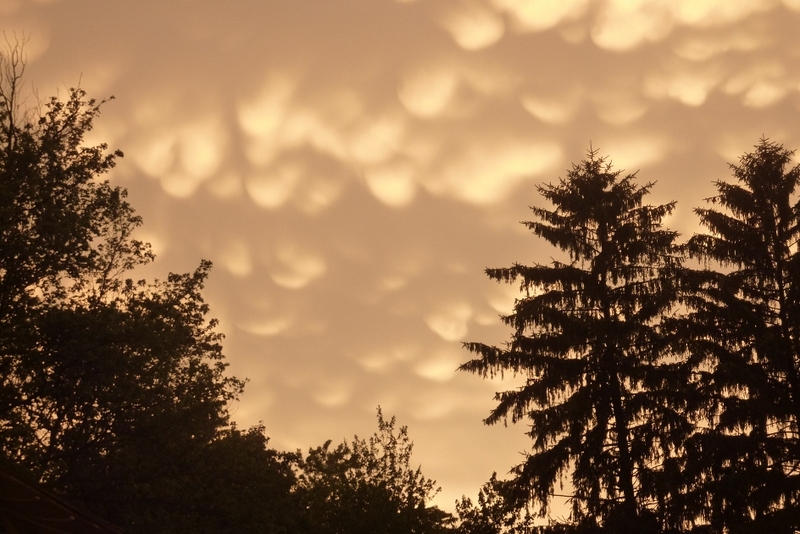 Mammutus Clouds after severe weather in Hydes Maryland June 23, 2015 - 7:30PM.